Next week marks the 24th anniversary of Nirvana's In Utero, and fans of the band will have a chance to own some of the gear that created the band's final full-length LP as some microphones hit the auction block. Engineer and producer Steve Albini will sell off three mics used to record Kurt Cobain's vocals and Dave Grohl's drums for the album through resale site Reverb.com next Thursday (September 21). For the gearheads at home, the mics in question are one Electro-Voice PL20 and a pair of Lomo 19A9s. As Albini explains in a promotional video, he contacted Grohl and bassist Krist Novoselic for their thoughts on what should be done with the microphones, considering their historical importance. He recalls that both former bandmates said he should sell them. 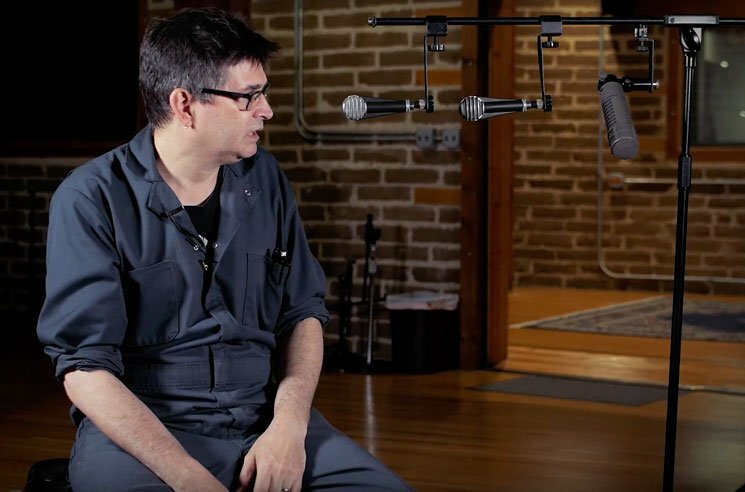 The video, which you can find below, sees Albini explain how each microphone was used during the album's recording sessions and how he was able to identify them.